I was asked by Lindblad Expeditions if I could write an article for their blog about our trip on the National Geographic Explorer. I immediately agreed, and only realized later how challenging an effort it was – we just saw and experienced so many wonderful “firsts” on our trip. After a third attempt I finally came up with as good a summary as I possibly could without writing a book. It figures that something remarkable was seen on our trip, but I completely missed it. Fortunately my daughter Krystyana did see it – and she also managed to take several photos of this unusual critter. 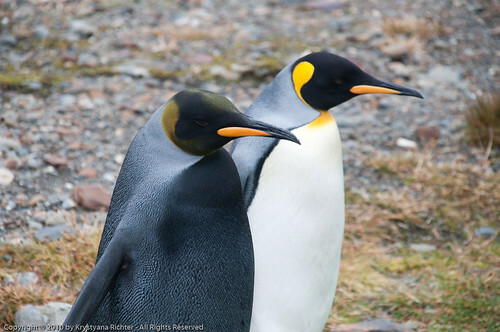 I’m speaking of the Black Penguin, a flightless bird with unusual coloring that appears to have taken the world by storm. 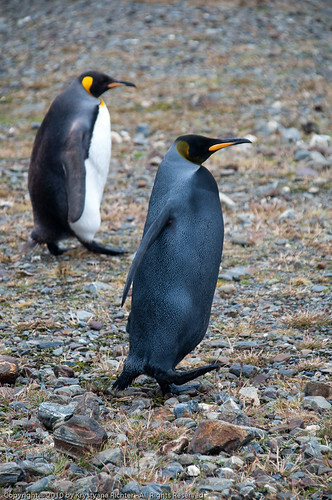 Fellow traveler and National Geographic Traveler contributing editor Andrew Evans posted a photo of the melanistic penguin on his blog, which led to another post in the Intelligent Travel blog, and from there it seems to have spiraled into a major news story. 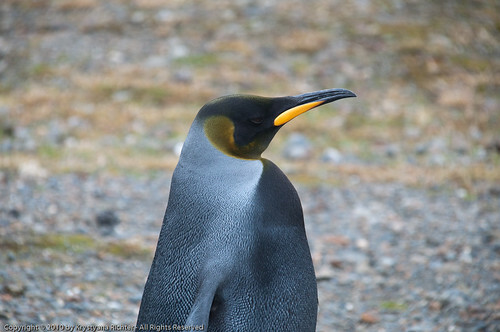 So, to help prove that Andrew’s photo was not an anomaly, below are a few more photos of the Black Penguin. Larger versions of the above images, along with additional photos can be found on Krystyana’s Flickr pages. But we’re not going to Miami when we thought we would be. The latest update is that we’re not leaving Ushuaia at 7:30am as most recently planned. Since the Argentinian paperwork appears to have been even more bureaucratic than expected, our charter flight still had not left Lima as of a couple of hours ago, but the signs are very positive that they will actually get to Ushuaia tomorrow. The new, updated, and revised plan is that we will now be leaving Ushuaia at 8:00pm on Friday evening, getting into Miami at 10:00am on Saturday morning. And, since we get most of another day in Ushuaia (while staying in the “best hotel” in Ushuaia, namely the National Geographic Explorer), the folks here have been great in planning another excursion for us to a lake on the other side of the Andes mountain range here in Tierra del Fuego. Should give us an opportunity to see sled dogs and the elusive Magellanic woodpecker (seriously!). And we’ll be fed, several times, tomorrow too. We feel very well loved by Lindblad Expeditions. Not sure I can think of another company that would do so much, on their nickel, to make sure their guests got home safely. Kudos to all of you Lindblad folks!